Clearly these people have never thrown a boomerang. Actually, that sounds about right. 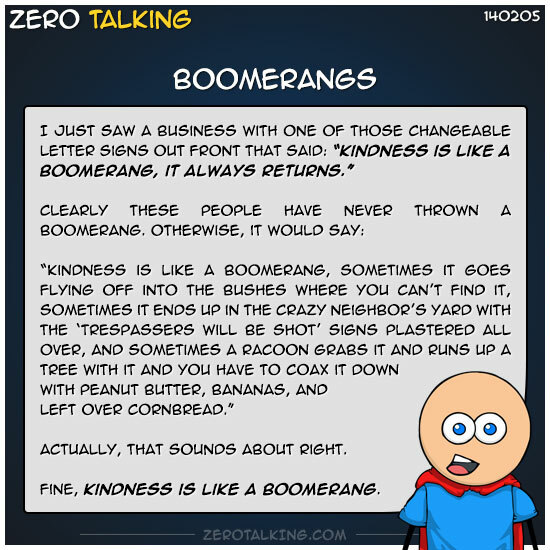 Fine, kindness is like a boomerang.